Lancaster Products Pug Mills simply and economically blend and feed a wide variety of materials and additives. Lancaster Products Pug Mills are custom designed to meet your exact job requirements. They are available in a variety of construction materials. Lancaster Products Pug Mills are available in sizes ranging from the small 1/20 hp laboratory mixer, up to 300 ton/hour with our large twin shaft production models. Lancaster Products Pug Mills are designed for continuous operation. Primary materials are introduced to the charging end of the Lancaster Products Pug Mill. The rotating pug mill shaft and blade assemblies mix the materials as they are transported through the pug mill. Additional liquids or other additives can be introduced during the mixing of the materials through the process. The mixed material is continuously discharged from the exit port of the mixer. 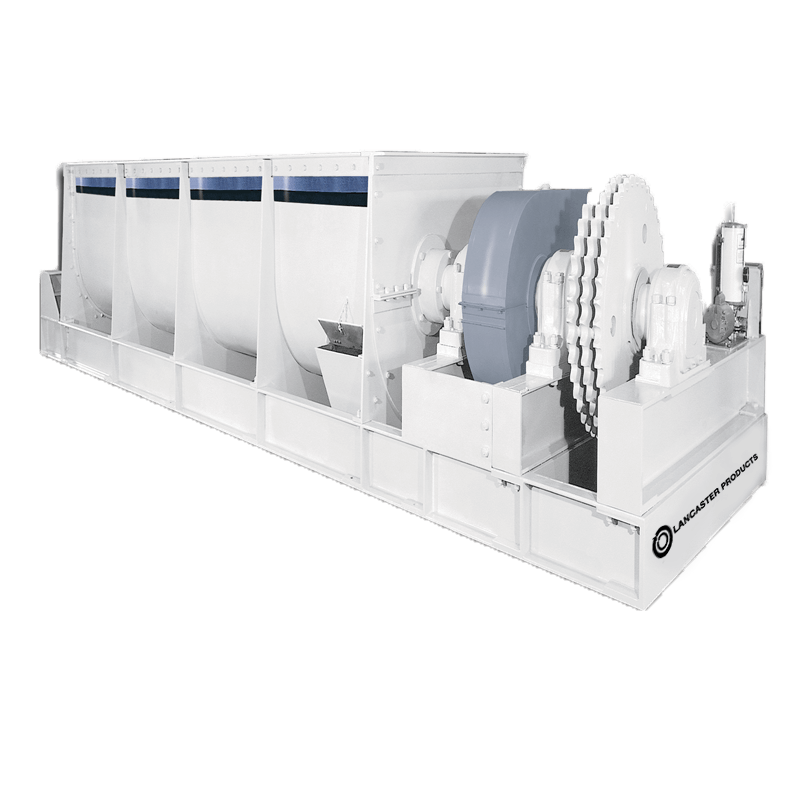 The Lancaster Products Pug Mill can be used to mix or cool materials as well as transporting materials. Lancaster Products Pug Mills are rigidly constructed of structural and plate steel. The pug mill shafts and blades are made of high strength alloy steels. Collapsible type wear-resisting blades, replaceable wear resistant liners, and heating jackets are available. Lancaster Pug Mills are individually designed to meet your specific application needs. The rotating shafts are available in either single or double shaft configurations. The replaceable mixing blades are pitch variable and can be fixed blade or break-away blade construction. The blades are also available in various shapes and materials of construction and coatings. 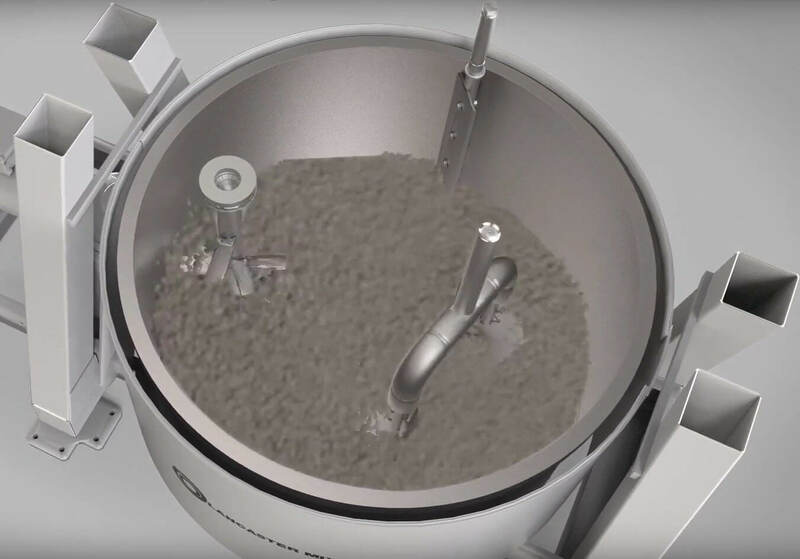 The Pug Mills are available with a variety of attachments for adding dry or wet additives to the mix or for heating/cooling of the mix. Manual or automatic material storage and handling systems can also be provided. Quality workmanship and materials result in minimum maintenance and insure trouble-free performance through years of service. From engineering to finished product, Lancaster Pug Mills represent your best value.